From South Park creators Trey Parker and Matt Stone and Avenue Q co-creator Robert Lopez, it’s The Book of Mormon, winner of nine Tony Awards® including Best Musical. 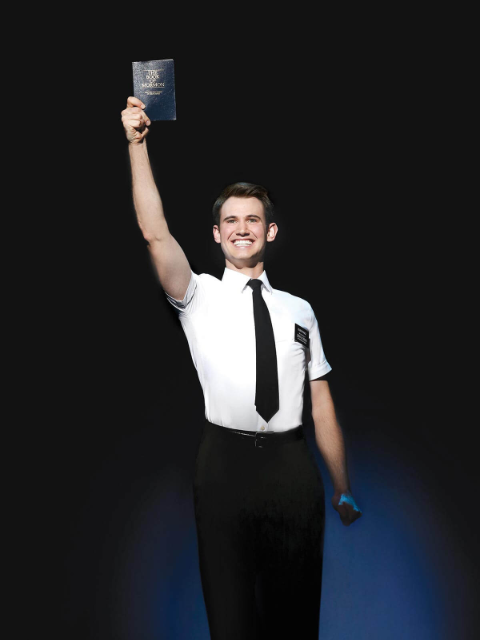 The Book of Mormon made its world premiere in March 2011 at Broadway's Eugene O'Neil Theater. The London production opened in February 2013 at the Prince of Wales Theatre. The show has set house records at 27 theatres around the US, and broken the house record at New York's Eugene O'Neill Theatre more than 50 times. The London production broke box office records for the highest single day of sales in West End history. White Hat can thoroughly recommend The Book of Mormon as one of the best and most entertaining musical productions to be seen in Brisbane for quite some time. look inside Brandenburg Concerto No. 3 Composed by Johann Sebastian Bach (1685-1750). Arranged by Merle J. Isaac. Masterworks; SmartMusic; String Orchestra. Highland/Etling String Orchestra. Baroque; Masterwork Arrangement. Conductor Score. 28 pages. Published by Highland/Etling (AP.12756S). look inside Brandenburg Concerto No 3 - BWV 1048 Composed by Johann Sebastian Bach (1685-1750). Baroque Period, Repertoire, Recital. Score, Set of Parts. 66 pages. Published by Arte Nova Music Lab (S0.43295). look inside Brandenburg Concertos 1-3 BWV 1046/1047/1048 Eulenburg Audio+Score Series. Composed by Johann Sebastian Bach (1685-1750). Eulenburg Audio+Score (Pocket Scores + CD). Classical. Softcover study score and CD. 124 pages. Eulenburg Edition #EAS102. Published by Eulenburg Edition (HL.49044001). look inside 6 Brandenburg Concertos Study Score. Composed by Johann Sebastian Bach (1685-1750). Study Score. Concerto, Baroque, Classical. 274 pages. Ricordi #PR733. Published by Ricordi (HL.50086400). look inside Goldberg Variations Composed by Johann Sebastian Bach (1685-1750). Edited by Kurt Soldan. This edition: Urtext. Baroque. Collection. With fingerings and introductory text. BWV 988. 52 pages. Edition Peters #EP4462. Published by Edition Peters (PE.EP4462). look inside Goldberg Variations Schirmer's Library of Musical Classics. Composed by Johann Sebastian Bach (1685-1750). Edited by Ralph Kirkpatrick. Piano Large Works. Baroque. Collection. With performance notes and introductory text. BWV 988. 83 pages. G. Schirmer #LB1980. Published by G. Schirmer (HL.50481953). look inside J.S.Bach Orchestral Suite no.1 in C major BWV 1066 - Complete Piano version Composed by Bach Johann Sebastian. Arranged by Santino Cara. Baroque Period. Sheet Music Single. 24 pages. Published by Santino Cara (S0.59589).